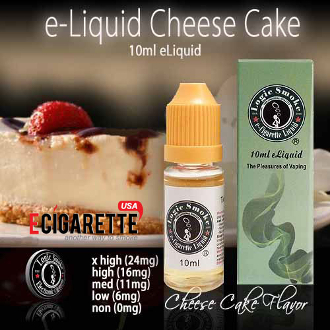 Our Logic Smoke Cheesecake E-liquid is creamy and delicious, remeniscent of the delectable desert of the same name. This flavor is delightfully sweet yet not overpowering. It tastes wonderful by itself and is greatly enhanced by the addition of any of our fluity flavors such as Blackberry and Strawberry. Try some of our Logic Smoke Cheesecake E-liquid and enjoy.